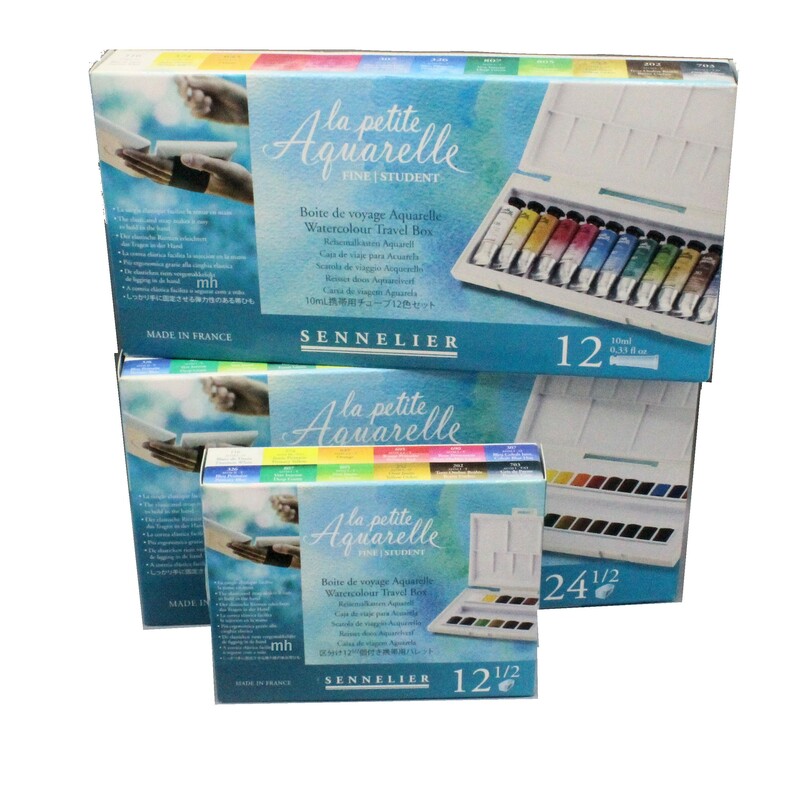 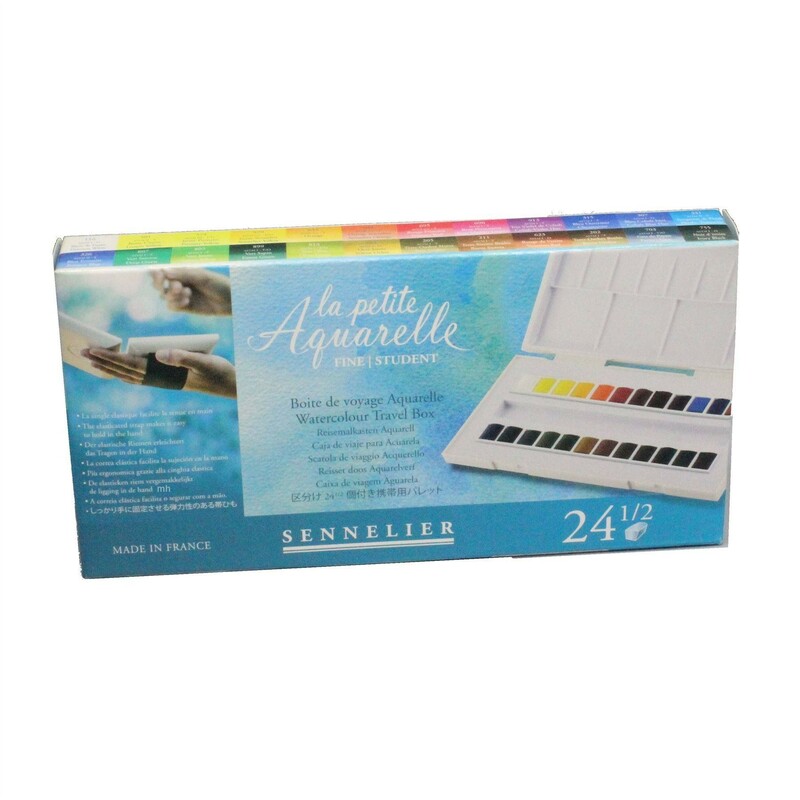 Senniler Watercolour painting sets, La Petite Aquarelle fine student travel sets. 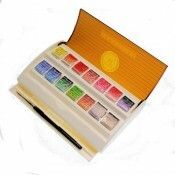 These travel palettes have an elasticated strap which makes it very easy to hold in one hand. 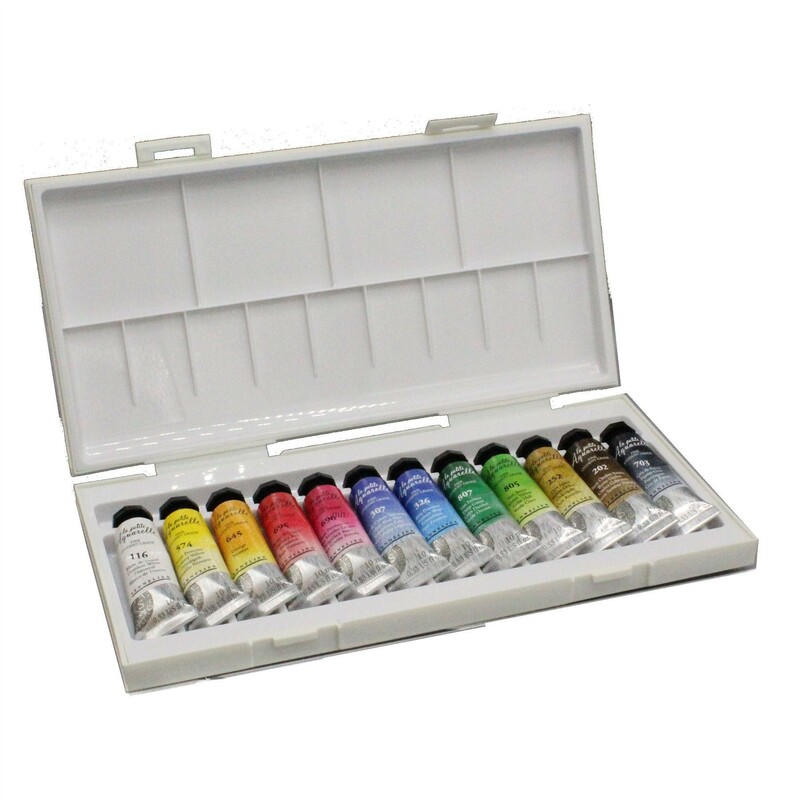 These sets are perfect for artists just starting out, at school or at university and those painting outside. 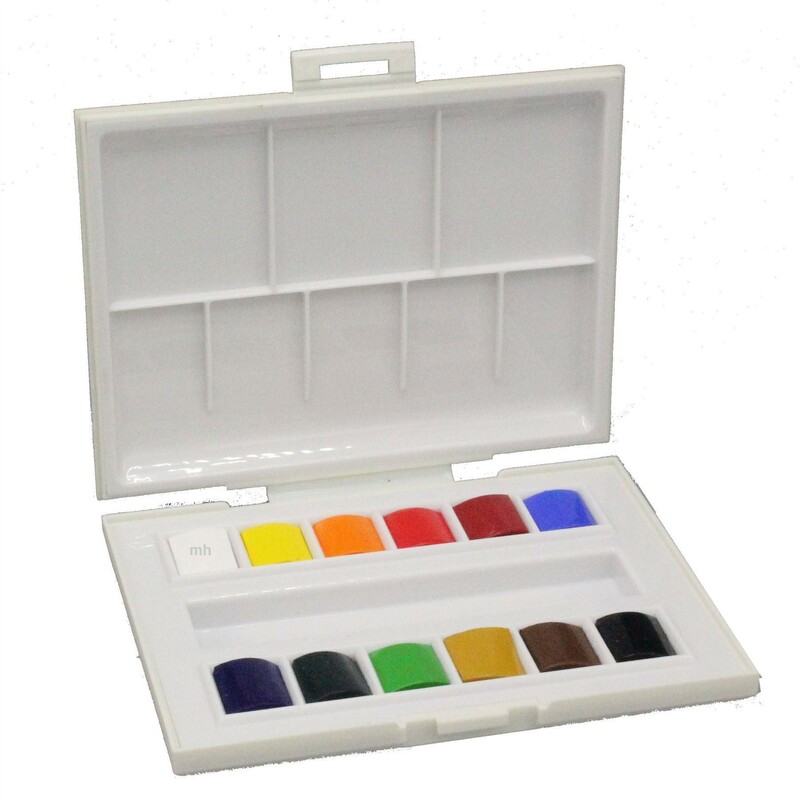 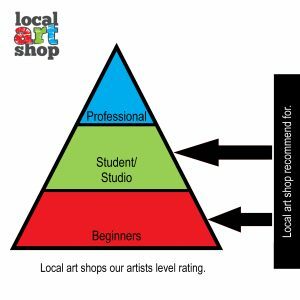 Made in France to a really high standard and are better quality than most of the student level watercolours on the market.